Hello, hope you are all well? I sadly have the lurgy so this is a bit of a late bookish bits from my bed where I can have a ramble on about lots of different bookish things that have been on my mind or caught my eye this week. Things coming up are Wallander, book winners, podcasts and vlogs and some more sympathy supplies from publishers. Plus possibly a few other bits and pieces. First up, and I am probably really behind with this subject, is Wallander. I am sure most of you have heard about this series by Henning Mankell and have also probably read most of them. I am officially late to this Swedish crime series; however as I have a spectacular lurgy this week I have been watching more catch up TV than I have been reading books. 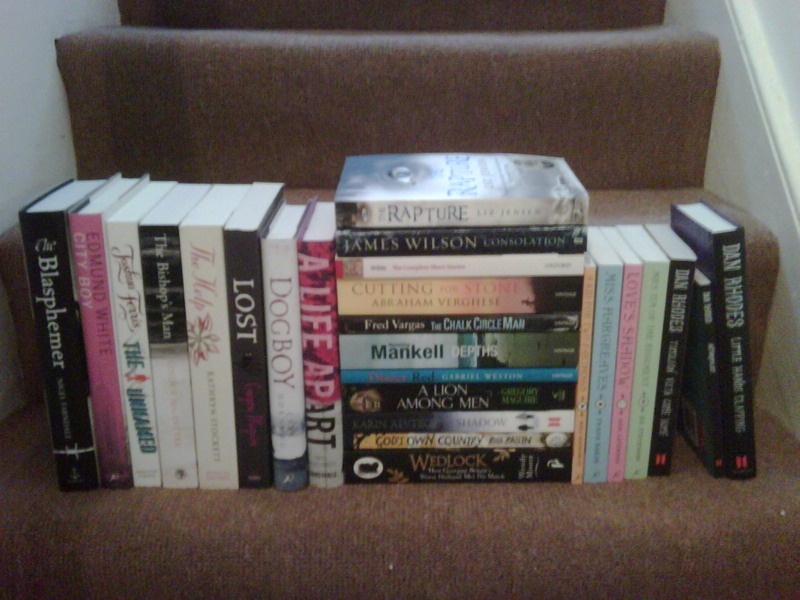 (I have devoured some more short stories and a small book plus Jasper Fforde – ok I have been reading less than normal.) One series I came across was the BBC’s version of Wallander played by Kenneth Branagh (pictured below) which you can see on iPlayer. Wallander, cleary a man who doesnt get hayfever! It is absolutely superb, I only watched The Man Who Smiled as I have Faceless Killers on the TBR and am now about to get cracking on reading it before I watch it. I am sure many of you have read it and will be able to tell me where to go after Faceless Killers which I am sure I will be discussing next week in more detail, so don’t give any plots away please. So next up Podcasts and Vlogs. I am new to Vlog’s and know of only one blogger who does them and its one of my other favourite posts each week which is Eva of A Striped Armchair and her weekly library loot. I have to add I wish my local library was as wonderful as hers as the titles she gets are just marvellous. You must have a watch of her Vlog’s (the latest can be found here) as they are utterly charming and in watching them you get to know Eva even better. I couldn’t do a Vlog I have to say the camera does not flatter me. I would love to make podcasts though I have no idea how do any of you? Do any of you have any Podcast recommendations as I have been bereft since Radio 5 stopped doing there’s, even if I still have Mariella on a Sunday and World Book Club. Speaking of Podcasts I have found a wonderful new Podcast this week thanks to Mee who had written about it in one of her past blog posts. It is called Books on the Nightstand and is by Michael Kindness and Ann Kingman who work for Random ‘but don’t only talk about our publishers books’. Its marvellous and its like you are overhearing a conversation of two friends over a coffee nattering away about books they have read and loved. You can (and should) download them here and read their blog they are just brilliant from the latest books to ‘challenges on blogs’ they discuss it all. Marvellous! As ever if you have read any of the books or the authors let me know your thoughts. Ooh I nearly forgot… The Istanbul competition winner is… Michelle aka Su(shu) do email me your address! If you haven’t won don’t be disheartened as I have some more giveaways related to some of the above titles coming up (I like you all to benefit too) and some I haven’t mentioned! So keep your eyes peeled. So that’s all from my sneezy wheezy sick bed for today. Let me know your thoughts on Wallander, the latest arrivals at Savidge Towers and details of any podcasts and vlog’s I am missing out on. Oh and if you know how to make podcasts do let me know! Over to you all, I look forward to your comments to cheer me up with this horrid lurgy. Oh and another quick question as you guys are always helpful with things like this and I can’t work out which is better. Should I title these posts like this “Simon’s Bookish Bits: Wallander, Podcasts, Vlogs and Incoming” or simply “Simon’s Bookish Bits #5”? That would be as helpful as answers to all the above! You’ll laugh at me, but I had to look up what “lurgy” was. We don’t use that term here (at least I’ve never heard it). Dumb Americans! You have a lovely stack of books there. See? You don’t have to buy a darned thing! They are indeed a delightful stack of books but as I am learning you always want more. I am currently hankering after all the work by Ha Jin! My thirst for books is never quenched. Lurgy is also quite a northern expression too so that probably didnt help haha. Can’t believe you didn’t know about Books on the Nightstand before! Well, I’m glad I helped you find them :). Your stack is great. Is the Oscar Wild short stories the one with Stephen Fry on it? I’ve been eying that one. And the Help, of course, since everybody raves about it. Congrats to Michelle for winning the two awesome books! Without you I would have had no idea about Books on the NIghtstand. I am addicted and am slowly getting through all 60 of the podcasts they have done, are there any more that I am missing out on? I don’t think my copy is the Stephen Fry one, mind has a fairy on the cover. I have recorded the Wallander series too, and have been wanting to read a few before watching them too! I then heard that the original Swedish series which is being shown on BBC3 is even better, so now I can’t decide which to watch first – I don’t want to overdose on Wallander! I watched one of the Swedish ones and wasnt such a fan. I dont know what it is about the UK version but its something to do with the covers that they are using, its just beautiful in a gloomy way. I am making no sense hahaha. I started Mankell this morning and so far so good. Poor you simon – I do hope you recover to enjoy the rest of the weekend. What a lovely selection of books though to cheer you up. Thank you Verity, I think its because of the lack of heater for a week last week its rubbish, but you are right about the books, a definite pick me up. I vote for SImon’s Bookish Bits #5 – I like wondering what’s coming up. I read Miss Hargreaves following a recommendation from Simon Stuck-in-A-Book. Pretty good, I can tell you. From your incoming I’m adding The Rapture and Wedlock to my wishlist. (The Bloomsbury Group titles are already there.) Have you read Liz Jensen’s The Ninth Life of Louis Drax ? That’s one brilliant read. I think I like the numbered version of bookish bits and will be going through and editing them hencewith! Ha! I have read no Jensen at all so am intrigued to see how I get on with this one. Looking forward to all The Bloomsbury Group ones of course and have already polished off A Kid for Two Farthings! If you like Wallander, you should also try Jo Nesbo. He is Norwegian and has a great series about a character named Harry Hole. Thanks Darla, I will see how I get on with Wallander on the page and then may just check this other series you mention out! I’m so jealous of your stack of books. I get excited when I get one at a time! I know nothing about podcasts or the other. I hope so too, I felt well yesterday and so was out and about and now am feeling rubbish again! It’s not fair! Oh, I forgot to tell you that I met Ann Kingman from Books on the Nightstand at our local bookstore in Norwich, Vermont. She is very charming and brought a collection of books from their publishing house to recommend to book groups. Michael Kindness was not able to be there as his wife was expecting their baby any time. Their son, Finn, was born shortly after Ann’s visit to Norwich Bookstore. Ann Kingman is becoming a bit of an icon of mine at the moment some of the stuff she comes out with is hilarious. It’s nice to hear that they are as nice as they sound on the podcast in real life too! I would go with Simon’s Bookish Bits # 5, short and sweet. Hope you get better soon! I have myself only just got over the dreaded lurgy and I tell you now I’m a grumpy ill person. I think the numbered posts are definitley the way forward. I prefer them I have to say! Short and sweet with a hint of mystery. I was well again yesterday just woke up vile today! I am so sorry you have been under the weather, Simon, and I hope you begin to feel all kinds of better soon! Thank you for introducing me to the Books on the Nightstand podcast. I am just starting to branch into podcasts (I am a horrible auditory learner, but am trying to expand those skills) and this series looks wonderful! The pile of new books is so comforting, isn’t it? I noticed that a couple of those books are actually listed in the BOTNS podcast for favorites of 2009 – so you are in for a real reading treat! Thank you Molly, I hope I feel all sorts of better soon too. I was fine again yestaerday and so went out and about, think thats the issue have been out and got supplies but am going to be staying in hiding this weekend I think! Hoorah someone else who is going to completely love Books on the Nightstand. It is just brilliant. I havent checked BOTNS best fo 2009 so that sounds very exciting as their recommendations seem to be spot on! Well bat Netherland tut! You have been sick a long time, Simon; I do hope you are better soon, though the lovely stacks of books must be some consolation. I especially envy you your copy of God’s Own Country, as dovegrey raved about it so. I don’t think it’s available on my side of the pond yet. I was ok at start of week again then got ill got better and got ill, seems very unfair. Hahaha but hey I can stay in bed and read so am all for that. I know very little about God’s Own Country and yet I am already excited about it, time will tell. Oh no you are the first person to say the long version, what a conundrum. Sadly, I’m not a fan of vlogs… they always come across as people just wittering away. I need less wittering in my life! I feel similarly about podcasts, as so many of them are in need of some serious editing. I like the Simon Mayo Book Reviews show on BBC Radio 5 (when I remember to listen) though. As for Wallender, I watched all of the Ken Brannagh ones when they were screened first time round — and very good they were too. I’ve never actually read any of Henning Mankell’s work though, which is strange given I do have a soft spot for Scandinavian fiction. Speaking of Scandi fiction, I hope you enjoy Karin Alvtegen’s Shadow. I read it last year and very much enjoyed it. I don’t know how I got so ill again Kim… well I do actually – no boiler for a week did it! I think I need to be sent to a hot country to get over it! I like Eva’s vlog but its maybe because I have been emailing and commenting away with her as I don’t know any others I only have that one to compare it too. Sadly the Simon Mayo book show has gone, I know its awful news!!! Maybe you should delve into some Mankell, I think this is a new series I completely missed the first one. I wonder if its on DVD I will have to keep my eyes peeled on lovefilm. Ooooh I shall pop and check your thoughts on Shadow after I read it, am glad you liked it though I have heard nothing much about it. Hope you feel better soon Simon. I like the #number. Can’t help with podcasts or vlogs though. I’ve read the first 2 Mankell and enjoyed them both, though they didn’t blow me away – Wallander is a fabulous character and I’ll certainly read more. Anything with Ken Branagh in is OK with me too – he’s one of my heroes. That’s a fab haul of books to keep you going. I’ve got most of the Bloomsbury ones in my TBR pile, and enjoyed Miss Hargreaves. I’m also longing to read some Fred Vargas – I’ve got several of hers in the queue too, plus the new Liz Jensen – her books are great. I normally am not the biggest fan of Branagh I have to say but in Wallander I really liked him. I just think the whole show is completely spot on, I am enjoying Faceless Killers so far… if you can enjoy a murder! Exccited about Miss Hargreaves and Liz Jensen. Thanks so much for saying such nice things about Books on the Nightstand Simon! Google Alerts brought me to your site and I’m so glad it did… I’ve added you to my Google Reader! Thank you very much Michael for commenting. Have become a big fan fo the series am currently still catching up with most of the 2008 podcasts hahaha but am getting there. Feel better, Simon! Hot water with lemon, ginger and honey and a good book is what is needed! Great selection of books. I have the Bloomsbury Group ones so looking forward to your thoughts – I have a slightly related forthcoming post that may excite you. I also love Eva’s vlog and Steph & Tony have just started a podcast about films on their blog, which excites me. I find too many time-consuming and on top of reading books, reading blogs and writing my own there isn’t time but I’ll be looking into Books on the Nightstand. Your titles are up to you but I do like a brief hint of what you’ll be talking about. You seem to be getting into a groove with your new feature and becoming more focused – not a criticism, I know how hard it is to hold back from everything bookish that you want to mention! Do give Books on the Nightstand a go as its just like listening in on two people who get on really well having a great chat about everything that they have been loving bookwise of late. Brill! Oh and alot of the books they rave about I have read and really enjoyed so can recommend thier recommendations. Phew that was a sentence and a half. I rather like Wallander (tv – I didn’t even know it was based on a book!). I love the look of the show – it looks so cold and the colours are grainy and watery. I find myself slightly hypnotised – each shot is a painting. And every Swedish interior is so hip with its bleached wood… I feel achingly uncool in my stone cottage with its sagging bookcases and knitted cushions. Oh don’t feel uncool, a lot of us would give our book carrying arms to have a stone cottage with sagging bookshelves and knitted cushions Natasha! It’s definately the way the interiors look along with the way its shot that is just so wonderful to watch. It’s just a shame it conflicts with Dancing on Ice hahaha. I am sad that you don’t want to do a vlog though! (And just to point out, I find my webcam much kinder to me than regular cameras…I’m not at all photogenic, my sister got all of those genes.) So I shall have to hope that you do a podcast (which I know nothing about), and that I’ll be able to at least listen to you. You know, my library might be better than yours, but with all of those books arriving at your house, I think it evens things up! I’ve been eyeing Cutting for Stone for awhile now, but I haven’t even heard of most of the book that you’ve gotten. Many have intriguing titles though! I love the vlogs Eva. It’s a fun and different thing to do and also the way you talk about the books make me smile. I loved the comment about a book being beneath you and then you feeling bad made me giggle as we all feel like that sometimes. Cutting for Stone has had some rave reviews so I will be reading that in the not too distant future. 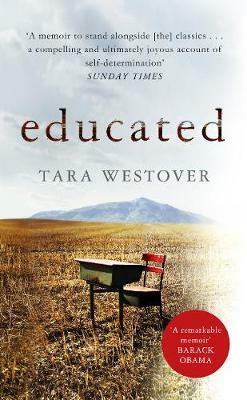 It’s one of the choices for a book show airing on TV her this weekend so I am sure most of England will be reading it! Oh! What a great way to wake up and find out that I won! Thanks so much Simon, will be sending you that email straight away. I also found out about Books on the Nightstand from Mee, and like you, am loving them more and more every time. The Help seems to be one of the most favoured books of last year so I will have to read that soon, feel like I am the last person to the party with that one. Got your email and have forwarded your details to the lovely people at Penguin, will let you know when its been popped in the post by them. On the subject of Wallander, in its UK television incarnation, I too have particularly liked the visual treatment. I agee with Natasha’s comment “every shot is a painting” and your observation that the series is “beautiful in a gloomy way”. It is a few years since I read the books and I cannot remember them in great detail, though I recall enough to know that they have played around with them a little. The order is different, for one thing. Although, it is difficult to know what the correct order is, since the English translations did not necessarily come out in the same sequence as the Swedish originals. Mankell went on to write a series featuring Wallander’s daughter, in which she followed her father into the police force. He brought that series to end when the actress who played the part on Swedish television took her own life. I haven’t read any of those: too many books, too little time! Thanks for the podcast recommendation. It sounds excellent. I assume you are already aware of the weekly Guardian books podcast? They also do a separate podcast version of John Crace’s popular “Digested Read” feature, in which he offers amusing send ups of popular titles. The current one is a dig at Flora Thompson’s Lark Rise books, now also gracing Sunday evening television screens in the UK. Visually I dont think there is anything quite like Wallander on the telly. It makes me laugh that visually its soooooo swedish and yet they all have English accents though. A minor quibble. I think the release order is different here. Faceless Killers is definately the first in both languages but since then UK publishers have jingled them around and the show has done so again. Confussing much, ha! I do get the weekly Guardian podcast and love it, I also like Books and Authors by Radio 4 too. I tried digested reads and wasnt sure about it, maybe I should try it again. I thought you might like that Simon! You taught me a new British English word today. Lurgy. What a handy word. All of your new books look like so much fun! I didn’t realise that lurgy would be such a British word. Try and use it as much as you can hehehe. Oh, gosh, I am blushing! Thank you Simon, and Mee, and Darla. You are good for the ego! Simon, I do hope you are feeling better. If I were in bed sick right now, with some time to fall into a long, lovely book, I would surely pick up Cutting For Stone – possibly my favorite book of 2009. I would love to hear what you think. Creating a podcast isn’t hard. The easiest way is with a headset microphone that plugs into the USB port on your computer. Download the free program Audacity (if you have a PC) or use Garage Band for the mac. Set it up so that the software recognizes your headset, hit “record” and start talking. Upload the mp3 or wav file to your blog, and voila, a podcast. Editing is a little bit more complicated, and so is getting it set up for itunes and getting the RSS feed set up, but I’m sure it’s nothing you can’t handle. Googling should tell you all you need to know, but if you need more help, give a yell. The world needs more bookish podcasts! Hey Ann, its so nice that you and Michael came and said hello, I feel most honoured. I am utterly charmed by the show and am playing a crazy game of catch up at the moment, still in 2008 so not heard your rave review of Cutting for Stone but I will be looking out for that and reading it soon. I really like Gregory Maguire’s Lost. I’ve read it more than once and plan to read it again more than once! It’s dark and atmospheric. I hope you’re feeling well again soon! Wicked is one of my all time favourite books so I am hoping Lost has the same magic as some of his stuff has fallen flat on me. I am feeling much better today just really tired still. Simon…what a terrific stack of books. You must must read The Help – amazing story! Enjoy all of your loot! Thanks Diane. I have heard so many people say that The Help is wonderful am very excited about it! I love Wallander, very sad that last night’s was the last in the series. I have read Faceless Killers and it was really good, I love the atmosphere created in the books, I think that the BBC really captured that aspect. There were only three shows in this series? I am shcoked, but then again they are 1.5 hours and also there arent that many stories for them to do to get to series three or four etc. It is great the show though and the book proved good too, more on that later in the week. I loved Fred Vargas’ The Chalk Circle Man! Enjoyable, enlightening and a pretty good mystery too. Hope you’ve overcome the lurgy’s, although the weather isn’t helping. Oh good I am glad someone has commented on that one as it seems to be one that people don’t know so much about and am glad its one you think is worth a read. Just came by the discussion a little late. I read Abraham Verghese’s Mine Own Country several years ago. It is an account of two transitions: being an immigrant Indian doctor in the culture of Tennessee and the beginnings of the AIDS epidemic, an event which met with a great deal of rejection and denial. The book was good, but I didn’t experience it so much as literature but as an honest account of coping with interesting times. Verghese was not born an American but he has a virtue which represents the best of what we are: accepting and enjoying our diversity without rules to exclude those who are not like us. I hope to read his new book.